I am surprised how difficult it is to find a genuine guacamole recipe. No need for mayo or sour cream or all the other additives. This is the original, handed down generations, yet the most simple basic way to make Guacamole. Make this recipe and you will never go back. Slice avocados in half. Discard the seed. Scoop out of shell with a spoon. Place in bowl. Add juice of one fresh lime immediately to prevent browning. Use a fork and mash to desired consistency. Add chopped onions, tomato, and cilantro. Stir gently to mix ingredients. Add juice of second lime and then salt to taste. Stir just slightly, until incorporated. 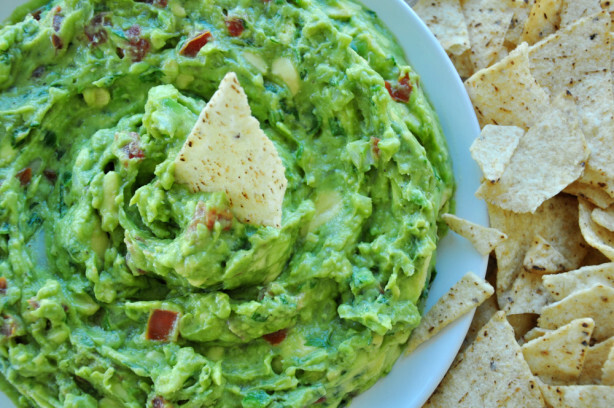 Serve with your favorite tortilla chips for a dip, or use with your favorite Mexican dish. a side note: this is to make a chunky, yet creamy guacamole. Some people prefer to use a food processor with all the ingredients to make for a VERY creamy dip.